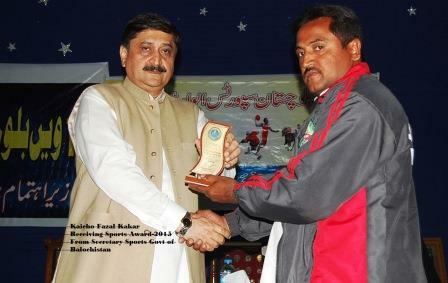 The Balochistan Sports Award- 2016 / 2017, held at Quetta in which Secretary Sports Govt of Balochistan and Engineer Zamrak Member Provincial Assembly and Mr. Faqir Hussain DIG Police (ex-official) were special Guests of the event. 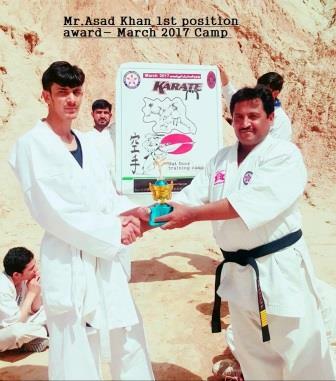 The Yuzenkai Goju Ryu Pakistan Head and Representative Shihan Fazal was nominated deserving for the Award and received the same in the event as on 7th of May-2017, where good number of other Sports Authorities were present. 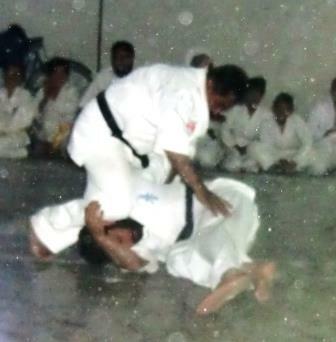 The Martial Arts Community congritulated him for the achievement. 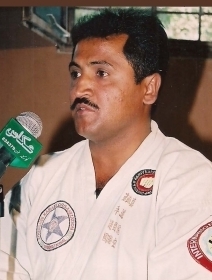 Shihan.Fazal Muhammad is the 1987 National Champion awarded by Chief Ministers,IG Police- Directors .And he is also ex- editor of" Super Martial Arts Magazine".He has had a lot of Interviewed from Media and Television. His career is as follows. 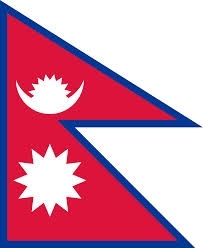 Black Belt in Kyokushin Karate-7th Dan (KSK Union UK)- (7th Dan WUKO Brazil -Italy)- 8th Dan (Sansei Goju Ryu)1st Dan to 3rd Dan in Seigikan Karate(MA.Javed)-1989 to 1996- 5th Dan in Daido Juku from Australian Region(from Bruce Hynes World Champion)- 6th Dan in AFJ- Jujitsu (Master Moore-) Other honourary Ranking different times.He resonated to a clear cut policy to the traditional Discipline of Goju-Ryu of YUZENKAI , and agreed to non political Group and a non-profit-making organization of YUZWNKAI , He has assumed the position of Representative Pakistan.Shihan Fazal Muhammad ,Representative of Pkistan YUZENKAI,are honoured by the World Martial Arts Council United Kingdom (WMAC), nominating Fazal Muhammad as National Representative for Pakistan also awarding the Guild of Masters Award. 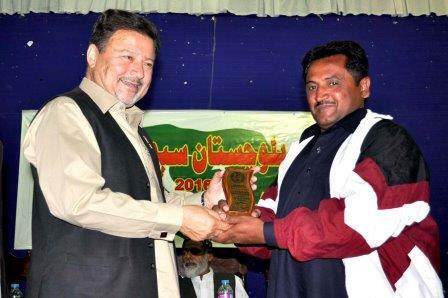 It is the special honour that various Organizations have been received memebership from Pakistan in this worldwide Organization and only Fazal Muhammad has been awarded this Authority in May-2014.All provincial Officials of four provinces of Pakistan Yuzenkai have congritulated Shihan Fazal Muhammad for this successful honour. 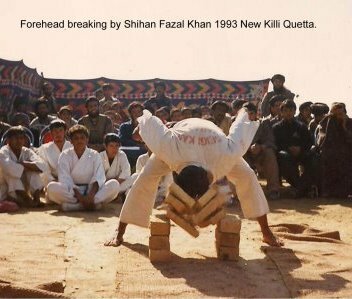 Shihan Fazar Muhammad broken four ICE Blocks each one of 80 Kg.When this Tameshi-wari was demonstrated, Shihan Fazal Muhammad received the interview from BBC News Service of Britain. 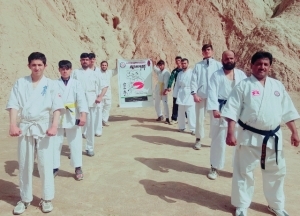 The Pakistan Amateur Goju Ryu Karate Federation, and IBKF Budoshin Group Western Bi-Pass Karate Center organized the Karate out door Training Camp at Quetta City Pakistan on March 19. The Camp started early in the morning, in which the participants devoted so much and enjoyed well. The sessions were categorized in three parts i.e Long Running - Jumping and Kumite, whereas the better conditioning exercise and upper as well as lower class conducted under the leadership of Dr. Fazal Muhammad International Certified Coach and Master. In these session Mr. Nasrullah Black Belt Sho Dan assisted well in the Camp, further more Mr. Asadullah Khan received 1st position in stamina and higher jumping, Mr. Abdullah Khan and Raheel received 1st position in Long Running speed and kumite respectively. The conditioning classes attended by Mr. Ahmadullah, Syed Nasrullah, Muhammad Akmal, Niamatullah Samiullah, Niaz Muhammad and others with good performance. 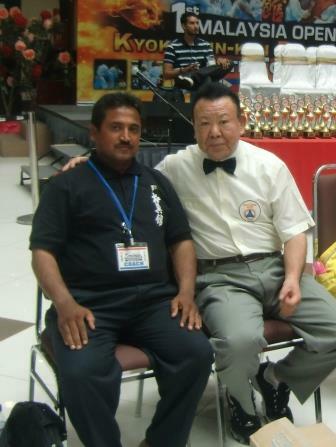 The Director of Yuzenkai Pakistan Shihan Fazal Muhammad said to perform more and karate-ka should ready to participate in the selection Test for Karate World event which is being held in UK this year as our institution received invitation from the World Council. 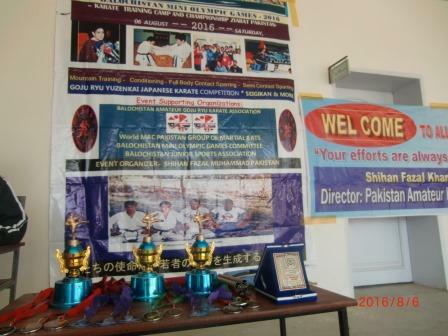 At the end of the Camp Awards also distributed, and arrangement for the Lunch was made from Hombu Dojo Pakistan . 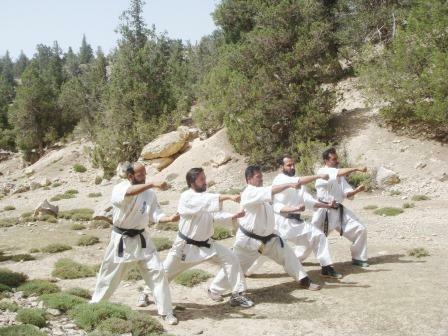 The Pakistan Amateur Goju Ryu Karate Federation and Balochistan Amateur Goju Ryu Karate Association is going to organize the --- 6th Yuzenkai Goju Ryu Camp at Ziarat Pakistan----- the Camp will be hosted and organized under the leadership of Pakistan senior Karate Master Shihan Fazal Muhammad Kakar. 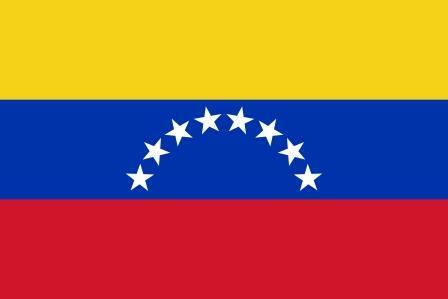 This event is limited to the regular Karate-ka, who will gain advance training as well as mountain training of fitness for developing their skills in the Art. 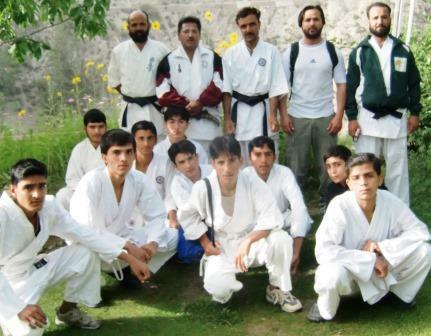 The Pakistan Yuzenkai Goju Ryu Karate Federation and Balochistan Amateur Goju Ryu Karate Assocation under the leader ship of Shihan Fazal Muhammad (7th Dan WUKO) National Representative of World Martial Arts Council and Yuzenkai Pakistan organized the Karate Championship and Training Camp at Kan Depot Ziarat in Govt Boys High school having its Final Session. The Yuzenkai Team supported by Mr. Rozi Khan Senior Teacher being a Chief Guest, Mr. Abdullah, Atta Muhammad Kakar, Mini Olympic Games Committee, Junior Sports Association and World Martial Arts Council's Pakistan Group. 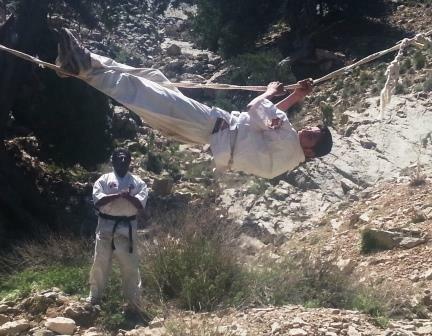 The Yuzenkai team demonstrated in the field of Kumite semi Cintact as well as Full contact- Applied Bunkai- Double Nun Chakku- Body Conditioning stone breaking over the abdomen, Very tough mountain training and rope climbing. Mr. Nasrullah-Abdul Jabbar-Ahmadullah- Gohar Khan - Asadullah- Abdullah Khan- M.Anwar- Naseebullah- abdul Ghaffar- Muswir shah-Akbar-Wasey performed well in different competitions, whereas Kan Depot school Ziarat Student Dost Muhammad- Fazal-ur-Rehman New Killi- Khan abdul Razzaq Khan Noorzai performed highest devotion in all the event Management. Shihan Fazal Muhammad demonstrated Special Bunkai applied techniques- Double Nunchakku well. 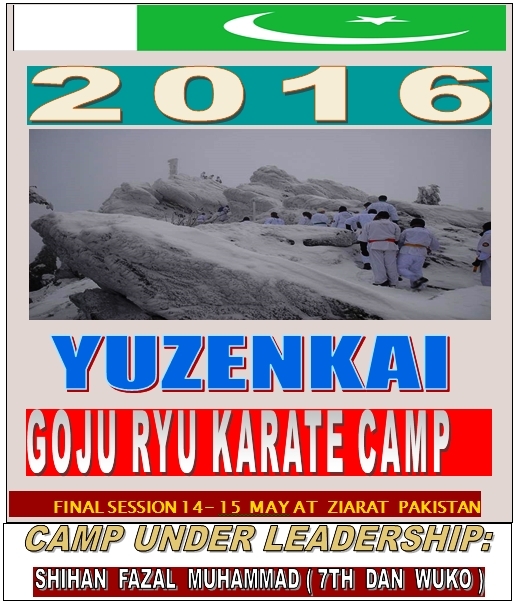 The Pakistan Amateu r Goju Ryu Karate Federation under the leadership of Shihan Fazal Mhammad (7th Dan WUKO) is going to organize the Yuzenkai Goju Ryu Camp in the month of may-2016. 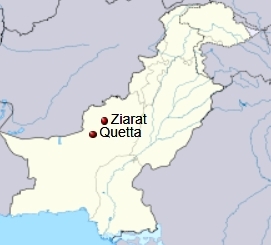 The first session will be arranged in Youth Hall Quetta City near Tameernau College and Shafique Ahmed Khan High School Quetta as on 13 th of May-2016, whereas the final Session will be arranged in Ziarat as on 14 and 15 May 2016. 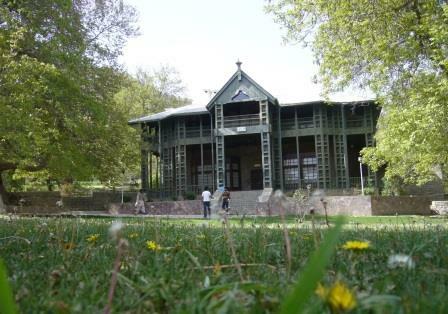 The sucessful Karateka of 1st session will be illegable to attend the final session at Ziarat.The participants will be given a certificate by the Yuzenkai Pakistan Headquarters. The outcomes of the event will be conveyed to International Headquarters Japan too. 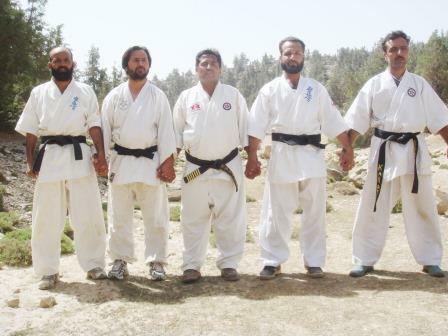 The Pakistan Yuzenkai Goju Ryu Group Headquarters B team participated in Kyokushin IKO-4 event at Ayub stadium Quetta in the month of December-2015. The yuzenkai B team secured good positions and in different categories received 1st position as well. 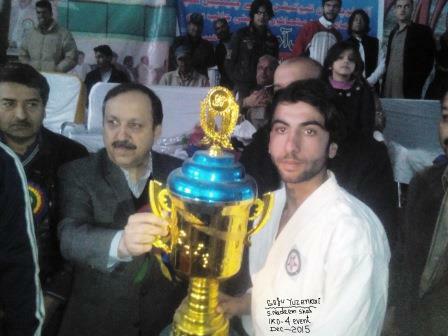 The members are Syed Nasrullah, Abdul Jabbar, Naseebullah, Ahmadullah, Abdullah Khan, Niamatullah, Nadeem Khan, congritulated Muhammad Anwar,securing 1st position and Mr. S. Nadeem Shah, who win their fights with very much better performance which indicate the Goju shihan's Fazal Muhammad entire struggle over the B team.The officials from Government of Balochistan distributed the Awards. 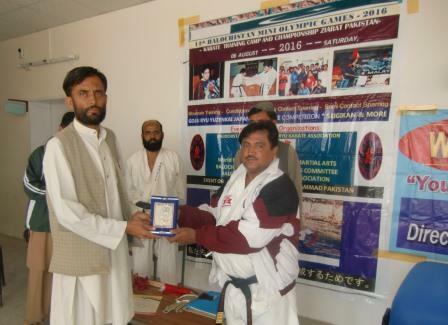 Pakistan Yuzenkai Shihan Fazal Muhammad receive the Balochistan Sports Award-2015 that is honor. 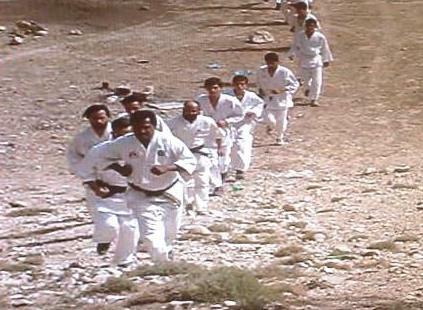 The Balochistan Province of Pakistan has a good role in Martial Arts and other sports, and the Sports activities of this area has been recognized on International forum. 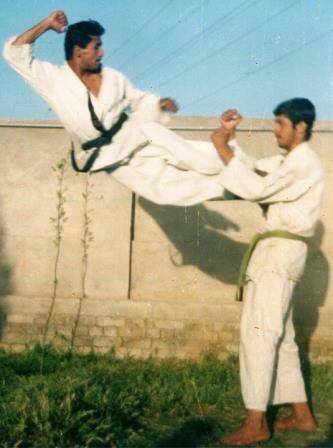 The Sports activities specially Karate is a popular Art in Pakistan, shihan Fazal has popular Martial Artist of Pakistan whose efforts in the field has been accepted worldwide. 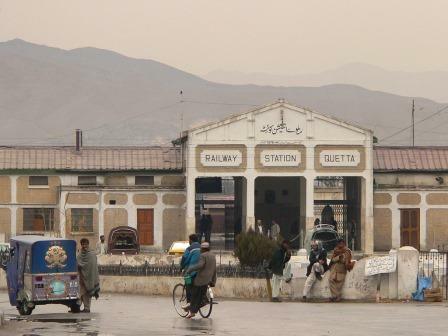 The Balochistan Junieer Sports Association, each year announce the names of the sportsmen who have done a best work for the country in the sports fields. This Organization under the leadership of Mr. Atta Mohammad Kakar Organized an event in the month of October-2015 at Balochistan Scout Headquarters Quetta Jinnah Hall. 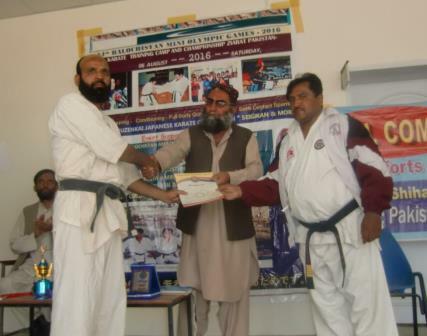 The Yuzenkai Goju Ryu / Pakistan Amateur Goju Ryu Karate Fedration Country Head Shihan Fazal Muhammad was nominated for the Sports Award-2015. 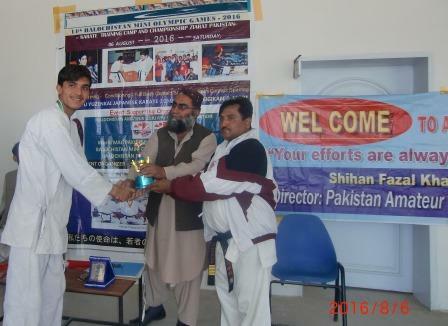 Mr. Fazal Muhammad Shihan Received his Award from Mr. Shuainb Gola Secretary Sports Govt Of Balochistan Quetta in presence of the other Sports Authorities Sports Minister Mr. Mujeebur-Reman Hassani and Mr. Zamruk Achakzai. 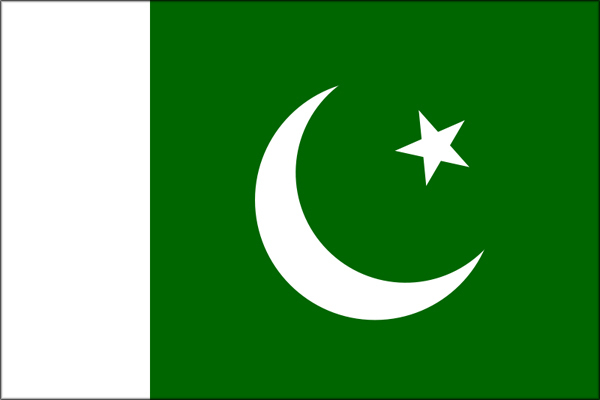 Mr. waseem Sharif from Punjab, respected Abdul Hameed from Karachi, Abdul Hanan from Dukki, Manan Agha from NBP, Abdul Rehman from Balchistan and other various persons have congritulated Shihan Fazal Muhammad who has done a lot of work for the country, new generation for their moral and physical skills. 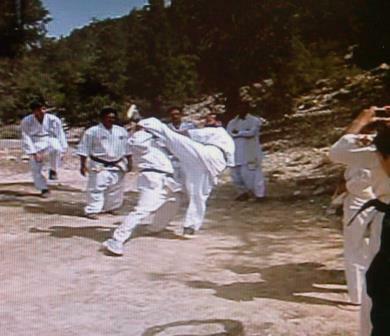 The Yuzenkai Head of Pakistan Shihan Fazal himself demonstrated the Bojutsu Bunkai practically there. At other end, the Yuzenkai branch secure 04 Medals in this event which was Organized by Govt of Balochistan at Ayub Stadium Quetta. It was an honour for the Pakistan Yuzenkai Branch that one of the Member Mr. Muhammad Anwar of Sabzal Road Branch received Gold Medal and received his best Fighter Award from Governor Balochistan at the ending Ceremony in presence of thousands peoples and VIP personalities. M.Anwar and Sadam on Victory Stand. 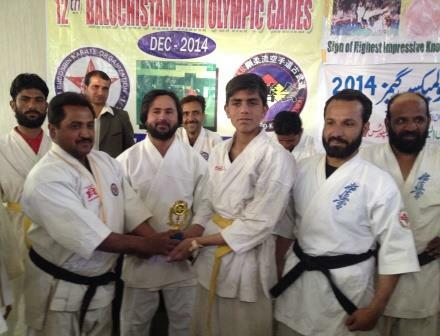 The Mini Olympic Games Committee of Balochistan sponsored Karate Event in Quetta City Pakistan for competitions of Yuzenkai Goju Ryu & Budoshin Karate under the leadership of Shihan Fazal Muhammad. 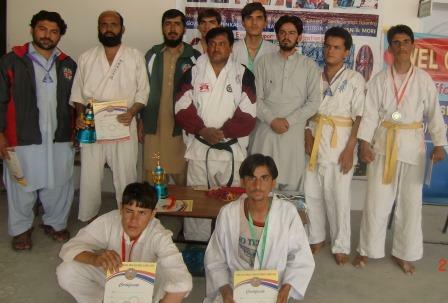 The Event Organized at Youth Hall Toghi road Quetta City Pakistan as on 19 Decemebr-2014, in which participants were from different Areas and Dojo. 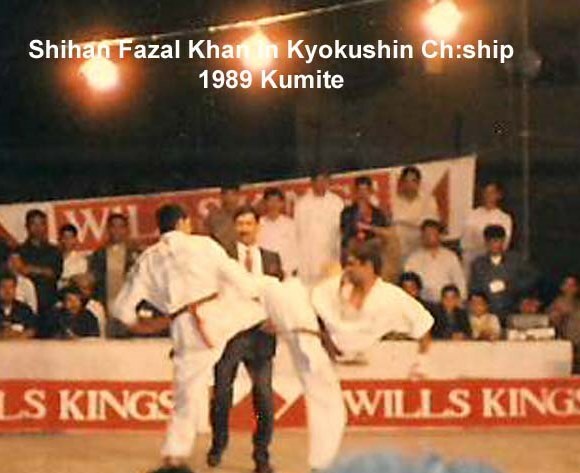 Shihan Fazal described and explain the rules regulations of Kumite, and instructed the Black Belt Judges Mr. Abdul Quddus, Amanullah, Mr. Umar Baloch, Nasrullah, and others on the panel. 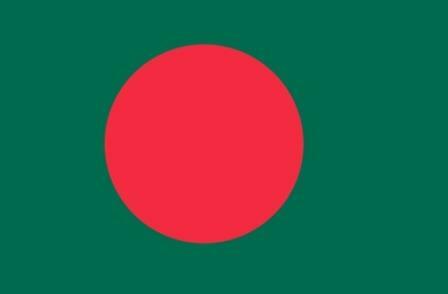 Mr. Akhtar- Sadam Hussain - Abdullah Khan - Nasibullah- Mustafa- Ahmadullah- and other fighters performed well. At other end Mr. Muhammad Umar- Abdul Quddus Khan - Mr. Amanullah- Syed wakeel and Saddam has demonstrated stick (Bojitsu)- Gymnastic and Kata, whereas Shihan Fazal also performed Applied Bunkai (self Defense Techniques) in the event in a huge gathering there. The event was also given coverage by TV Channel and other Media and finally awards which were provided by the Committee of Mini Olympic Games Balochistan alongwith Certificates and medals distributed among the Winners. 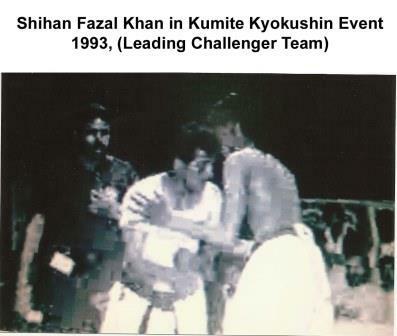 The Pakistan Branch Chief of Yuzenkai Goju Ryu and 7th Dan of KSK Kyokushin Shihan Fazal Muhammad, attended alongwith his student sensei Abdul Quddus the 1st Malaysian Bare Knuckle Full Contact Karate Championship at Petaling Jayaheld on 20th September, 2014 , Kualalampur Area Malaysia leading Pakistan Challenger Team. 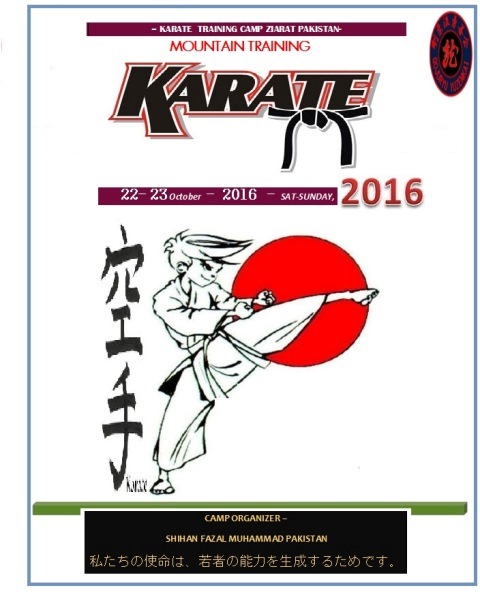 In these contest Shihan Fazal performed duties as a Judge in different weights Kumite contested there, also attnding Referee Judges Seminar with respected Shihan Micheal of Kancho Royam a Group Country Head of Kyokushin in Honbu Dojo Petaling Jaya. 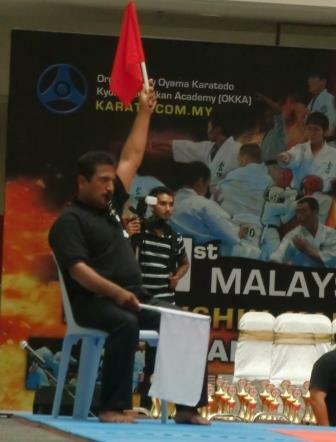 Shihan Fazal Student Mr.Quddus success while in his 1st Kumite against Malysian Fighter who was knock out by the Mawashi Geri of Pakistani Fighter, 2nd Kumite against his Opponent also win Mr.Quddus.The Final Ceremony at SS2-Mall arranged under Supervision of Mr. Micheal the Shihan of Kyokushin Malaysia. A special meeting also made by Pakistan Challenger Team with Shihan Micheal at his Honbu Dojo, where different tasks regarding Karate, events/espects, discussed by Shihan Fazal. 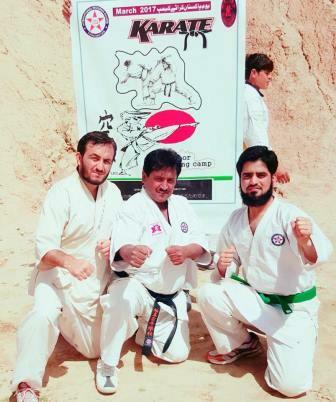 The GIKKU branch of Pakistan under leadership of Shihan Fazal Muhammad arranged an event in Quetta City Pakistan. 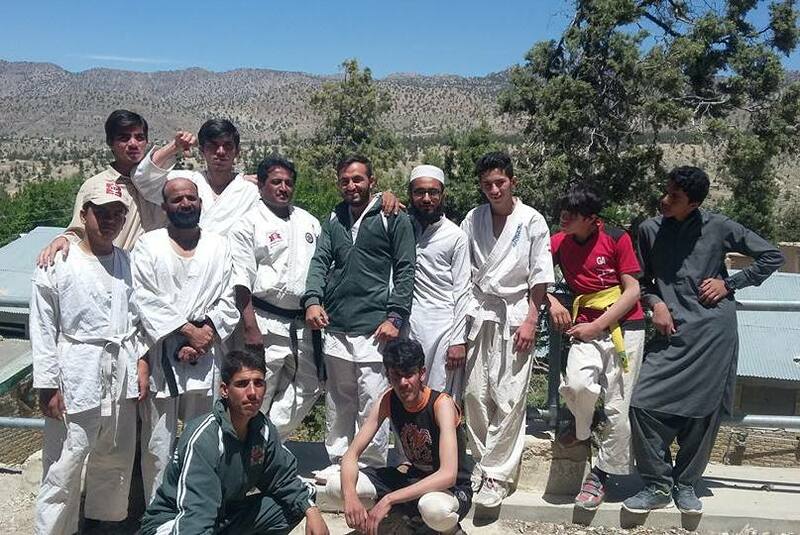 One of the kumite and Bunkai series Camp held in Sabzal Road Quetta Branch, in both category of Seniors as well as Juniors. The competitors who win the 1st Round of the Camp selected for the 2nd Round i.e. Mountain Training and out door Camp. 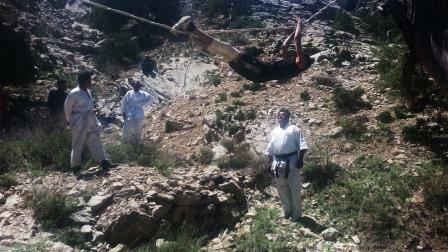 This 2nd Round camp held at Ziarat valley Pakistan which is 120 Kilometer far from Quetta City Pakistan. 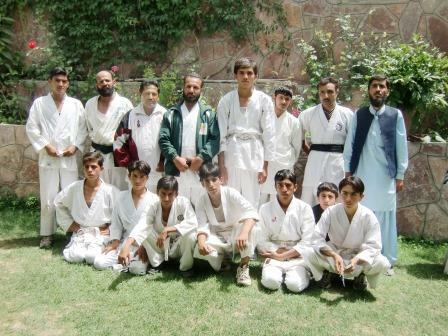 The participants Mr.Amanullah Black Belt- Abdul Quddus Black Belt- Muhammad Umar Black Belt- Syed Nasrullah Black Belt, Abdul Jabbar- Saddam Hussain- Abdullah Khan- Naseebullah- Najeeb Shah- Habibullah- Muhammad Ismail- Abdul Musawir Shah-Ali Raza- Ahmadullah and Team Manager Khan Abdul Razzaq was consisting in two days training Camp / Sports Gala.